We are pleased to announce our upcoming exhibition, Joan Mitchell: At the Harbor and in the Grande Vallée, curated by Dr. Jeffrey Grove. The opening reception will be held on Thursday, October 29th from 6 to 8pm. 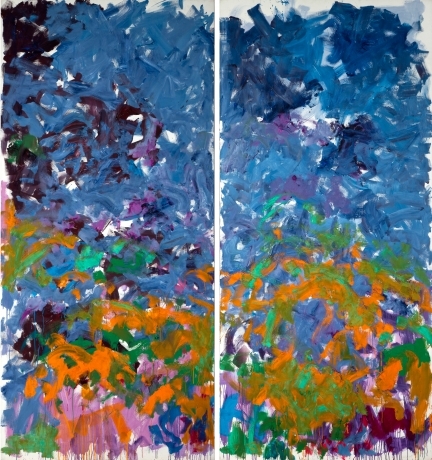 The exhibition will juxtapose the two most important bodies of work by Joan Mitchell and feature rarely seen paintings from private collections. Focusing on works Mitchell produced at two critical junctures in her life, the show will direct a lens for the first time on the years surrounding 1957 when the young Mitchell first consolidated her formal language of abstract painting and received her first important critical successes, and 1983, a time twenty-six years later when Mitchell, now an internationally recognized artist, began her epic suite of emotionally infused paintings, La Grande Vallée. 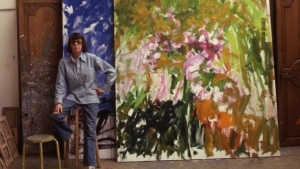 Kunsthaus Bregenz is presenting a large-scale survey exhibition of the legendary artist Joan Mitchell. 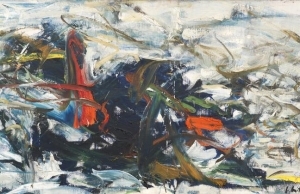 The show’s focus is on painting, ranging from the early work of the 1950s to her last years, presenting nearly thirty paintings by one of 20th century art’s most significant protagonists.